Did you know the skin around your eyes is the most sensitive area on your face? 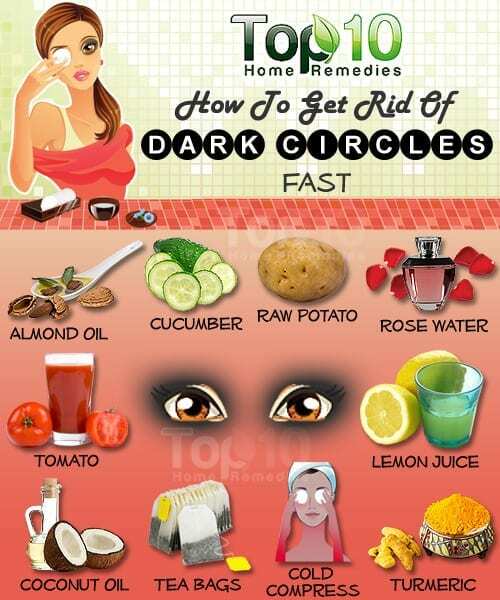 It also tends to be the first place to show any sign of aging and dark under eye circles. It's no wonder women have been obsessed with skincare, especially eye creams. We've even reviewed the latest craze in Korea - eye patches! Yet it's not an easy task to find the perfect cream that will gel with your lifestyle and skin. Of course there are tons of creams out in the market, but how many do you have to go through to find the perfect match?!? 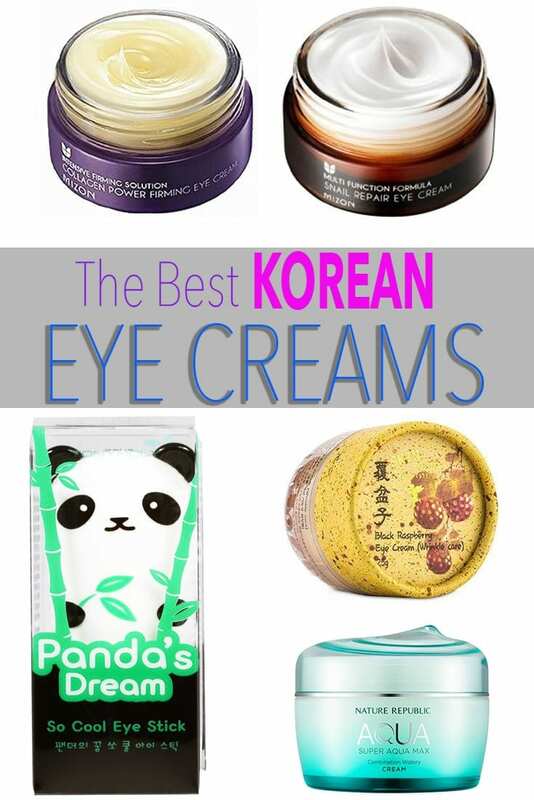 Well look no more, we did the research for you, we present to you "The Best Korean Eye Creams." 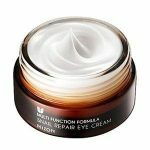 Ingredients such as niacinamide, caffine and retinol can be highly beneficial when alleviating tired eyes, these are the basic ingredients contained in most of the creams here. We highlight the featured ingredient in each eye cream for you. Depending on your skin type you may benefit from oil free ingredients such as glycerin and hyaluronic acid. If you have dry skin and suffer from fine lines oil based moisturizers may be the most beneficial for you. Since antioxidants and other ingredients degenerate from the air it's important to find a cream that is enclosed in an air-blocking package. Tubes seem to be better than jars for your fingers can contaminate your eye cream. Fragrance is key to buying the right eye cream. Some may like a heavier scent as opposed to a light scent; but remember you will be wearing it all day so make sure you love the fragrance! In addition, make sure you purchase a scent that compliaments your pH balance. Mizon Snail Repair Eye Cream is known to regenerate skin, help dark circles, wrinkles and brighten your skin. Containing a snail mucus filtrate the eye area and will reinvigorate and revitalize rather quickly. Because of its firm texture it will further heighten the absorption process. The fragrance is an all natural free from paragons, artificial color and wonderful for sensitive skin. With fresh looking skin you will no longer have to cover up with foundation! This Eye Creme contains 42% marine collagen and adenosine to brighten up your skin. 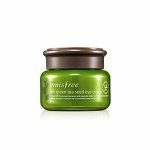 This anti-aging creme keeps skin moisturized and smooth while maintaining elastic around the eye area. It contains organic argan oil, adenosine, hylaronic acid and Copper Tripeptide that revitalizes damaged tissue and increases synthesis of elasticity and collagen. It is fragrance free and free from ethanol, benzophenone and paragons for sensitive skin. This hypoallergenic cream is safe to use everyday and will fade those pesky wrinkles. You can also use it around other problem areas (such as the corner of your mouth) as it works just as wonderfully! 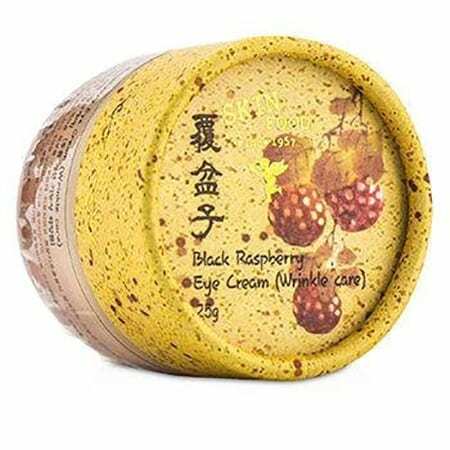 This medical anti-wrinkle cream contains jayangboeumdan, cheongyeondan (taken from twelve different kinds of oriental medical herbs) and raspberry extract. Due to its ingredients it keeps your eyes moisturized and hydrated. It will give you a smoother look to your skin as well as a more elastic and younger look in the eye area. The packaging comes in a paper like top and a cute glass jar containing 25 grams of eye cream. The illustrations and font have an organic feel which gives it a fun yet sophisticated look. The scent of this cream is a bit heavier than other creams but its known to be extremely smooth and moisturizing. It absorbs nicely into your skin and gives you a matte look instead of a shiny or heavy appearance. This cream contains antioxidants for hydration and nourishment. It is suppose to give your skin moisture with 100% squeezed green tea. It also contains minerals, amino acids, green tea which is used for hydration. One important feature that sets this products apart from others is that it has a dual moisture rising technology which is derived from green tea seed oil and green tea. The green tea sea oil creates a moisture barrier while the green tea hydrates your skin for long lasting moisture. Although this is a cream, this product is extremely light! I've used this product for a couple weeks and my eyes feel softer, younger and refreshed. Overall I would recommend this product, but if you have dry skin I would go with something that is heavier. 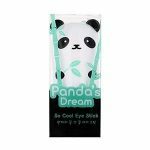 Tony Moly Panda's Dream So Cool Eye Stick is a soothing and cooling eye serum stick that will hydrate your skin. It is made for all skin types and comes in a 9g/.3 ounce container. These eye sticks have been quite popular in Korea and has been popping up in the United States as well. The packaging is one of the best features yet. The top of the container comes in the shape of a panda (how cute)! With it's light scent of melon and is user friendly, you simply pull the top off and apply it directly to your skin. When you have a long day at work or on your computer for hours at a time your eyes tend to get tired and puffy. This stick is the perfect solution to soothe and gives you a nice chilling effect for those tired eyes. Your skin will feel moisturized and tighter although the cooling sensation will only last for a few minutes. 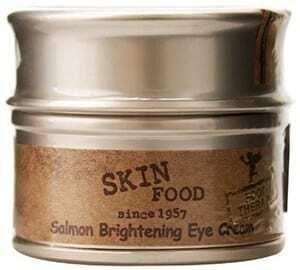 Skin Food Salmon Brightening Eye Cream was made to lighten dark circles and brighten the skin around your eyes. It contains extracts of Omega 3 and salmon roe. This cream is a lot thicker and oiler than most under eye creams but it does absorb nicely. If you have dry skin (like I do), it's essential that the cream moisturizes very well and this cream does exactly that. Although this is a great eye cream, it does not completely erase dark circles under your eyes but it does brighten and de-puff the eye area. Therefore your eyes will significantly look youthful and not look as tired throughout the day. After using this product for a few weeks I did not have to use my concealer as frequently and hopefully one day I can completely stop using it! The AHC (Aesthetic Hydration Cosmetics) private real eye cream is made to whiten the area around your eyes and works as an anti-wrinkle formula. It is a luxury home total esthetic care with eye cream. The key ingredients contains eight peptides, collagen, Bio Metic Water, Eco Cert, and ten different types of natural extracts. Known as the "celebrity cream" the design of the product is pretty simple, it is a tube with a long mouth for hygienic reasons. The cream is extremely smooth, light but resilient. The scent of the product was quite light, it has the scent of a light shea butter. The cream gives moisture, hydration, resilience and emollient to the skin around your eyes. Because the texture of the cream is so light, it can be used on different areas of your face. When I first purchased this product I thought the packaging looked great. It comes in a peach translucent glass jar with a large white screw cap. The design is simple and a bit larger than other under eye creams but because it works so well the packaging is not the focual point of this product. 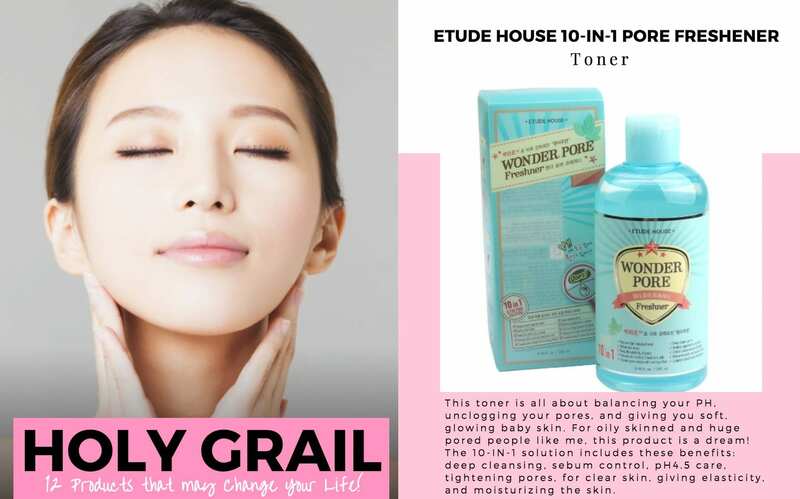 When I first opened the jar, I absolutely loved the scent; like many of the Etude products, it's very light and citrusy. You may not notice any recognizable changes when first using this cream but after continuous use for about three weeks you will see your fine lines disappear. If you have dry skin one would think a collagen cream would moisturize very well, but on the contrary it does not. On a positive note, this cream will make your skin smoother, brighter and will add elasticity! 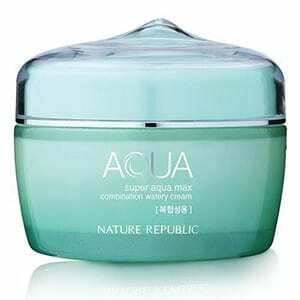 Nature Republic's Super Aqua Max Combo Watery Cream contains ingredients such as deep sea materials such as seaweed, plankton, chlorella, collagen and hyaluronic acid which is made to moisturize your skin. It also comes with a spatula that helps with hygiene problems. The scent of the cream has a very light citrus/perfume scent. The light mint color of the cream gives it a clean and fresh look. The texture is also amazing, it is lightweight, moisturizing but not too oily. Actually it is so light you can wear it during the day as well as night. Some products do not spread evenly but this cream does spread evenly and very nicely. After using this cream for a few weeks, you will see your pores diminish as well as evening and soothing your skin. Although the cream is moisturizing, to my surprise it does flake a bit after applied to the skin. Eye Creams provide moisture and increased hydration to your under-eye area. Increased hydration can result in plumping which will smooth out lines and wrinkles. I can lighten and brighten and de-puff the area under your eyes. Couldn’t we just use regular moisturizer? The reason is that the skin underneath your eyes is thinner than the skin on the rest of your face. Therefore the area is much more sensitive and could get irritated with your regular moisturizer. Eye creams are specifically formulated to be less irritating to this delicate area. 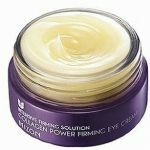 What should I look for in an eye cream? It’s better if it is free of fragrances if you have sensitive skin. Helps to retain moisture and is hydrating. It stimulates collagen production, which goes down as you age, which is what causes wrinkles and discoloration to occur. Ceramides are found in your skin membrane and they are a type of lipid. They work to prevent moisture loss keeping skin looking youthful and plump. Retional is a Vitamin A derivative which helps to speed up cell turnover and cell regeneration which results in smooth skin and an even skin tone. It also works to unclog pores during the cell turnover process and boosts fine lines by increasing collagen. Neuropeptides stimulate collagen production and cause the nerve cells in the skin to relax which reduces the appearance of fine lines and wrinkles and result in tightened skin. Vitamin C is an anti-aging rockstar! It’s a powerful antioxidant that boosts collagen production and protects against free radicals. 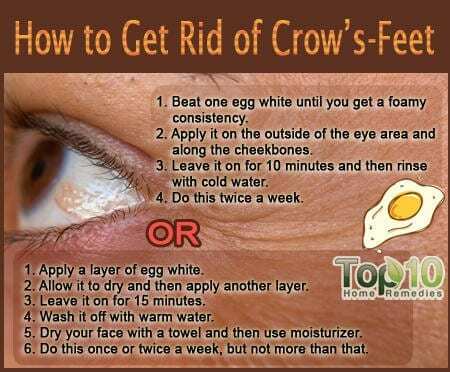 It also reduces brown spots. BTW, there are several different types of Vitamin C that you should look out forAscorbic Acid is most commonly used and is generally the most effective, it absorbs super fast and is the most potent when applied to the skin.Magnesium Ascorbyl Phosphate (MAP) can also be effectiveEster-C which is a trademarked form of Vitamin C - the jury is still out on how effective Ester-C is. New peptides, formulas and ingredients are always being added into the skincare market. Other notable ingredients include: vitamin K , Kojic acid, arnica, hydroquinine, licorice, chamomile, tea extracts, and of course cucumber. Unfortunately if you are an instant gratification junkie like me you are probably not going to see results the next day. It takes about 4-6 weeks for a good eye cream with regular use for results to appear. Hello! I found this post to be very informative. I recently started trying Korean beauty products, and one of them was the Skin Food Salmon Brightening Eye Cream. I really liked the thicker consistency of this cream for the eye area, but I don’t think I used it long enough to see if it helped to reduce my dark circles. 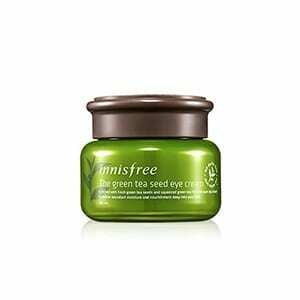 The next one that I’d like to try is Innisfree green tea cream. Hi Marlene! I’ve been using the Green Tea Cream recently to switch up my routine and absolutely LOVE it. It’s a lighter consistency and blends with your skin quickly, so you don’t have that greasy feeling on your face. Love your blog, too! Thanks for subscribing. How did you end up liking your new product?